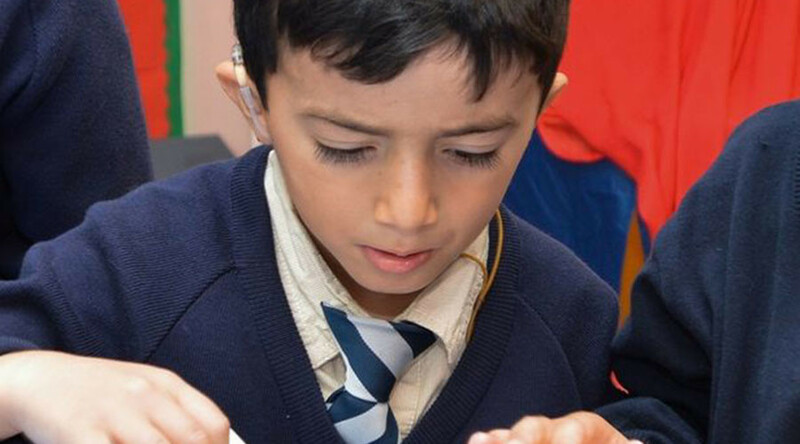 A six-year-old deaf boy who fled Islamic State (IS, formerly ISIS/ISIL) in Iraq to seek asylum in the UK has been told he will be deported by the British government. Lawand Hamadamin and his family have appealed to the High Court following the decision to deport them to Germany. The Home Office says it will not accept asylum applications from people who should have claimed it in another European country. The Hamadamin family fled northern Iraq after hearing reports IS was ordering disabled children to be killed by lethal injection. After traveling through Greece and Germany the family ended up in Dunkirk, France, where they lived in a makeshift tent in a refugee camp for a year. As the family made its way by sea to Europe, Lawand’s parents put a plastic bag on his head to protect his cochlear implant from the water, the Derby Telegraph reported. The family smuggled themselves into the back of a lorry to get into the UK. Upon arriving in Britain they were first sent by the Home Office to Halifax, but were later relocated to Derby so Lawand could get specialist help. Lawand is now a student at the Royal School for the Deaf, where he is able to receive expert help. “Lawand's family are understandably devastated that they are being deported," she said after the latest decision. Nurse Esther Freeman, whose daughter is in the same class as Lawand, has launched an online petition calling on the government to scrap its deportation plans. More than 10,000 people have signed the petition as of Tuesday afternoon. Freeman, who works part-time at the Royal Derby Hospital, told the Derby Telegraph she believes “we should welcome those in need and champion the basic right of a child to be able to communicate and form relationships. “If anyone truly takes time to imagine what Lawand's life was like before he could express himself, I don't think they would want to turn their back on him." A Home Office spokesman said: “It is only fair that we do not shoulder the burden of asylum claims that should rightly be considered by other countries. "Asylum seekers should claim in the first safe country they arrive in.